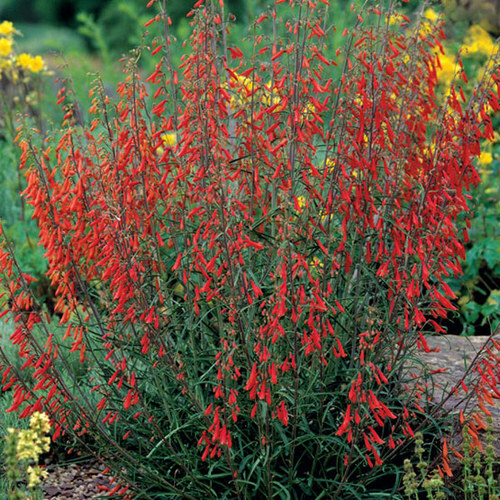 The genus Penstemon contains 250 species of perennials and subshrubs from North and Central America that are grown for their spikes of tubular, often brightly colored, 2-lipped flowers. 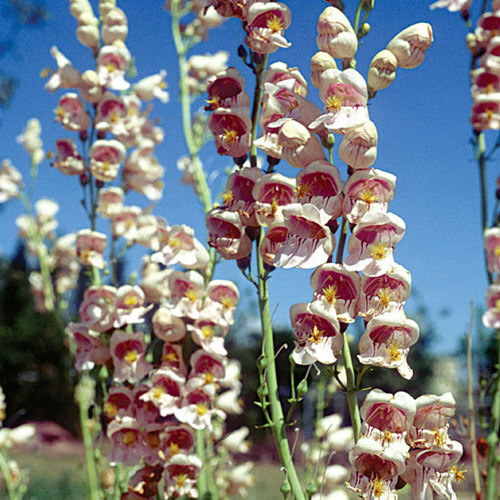 Flowers resemble foxgloves and often bloom from early summer to mid-autumn. 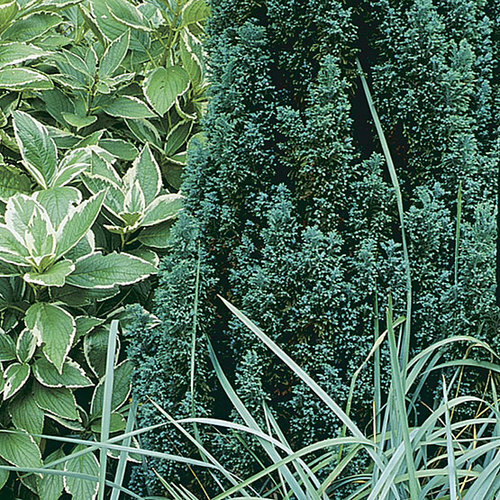 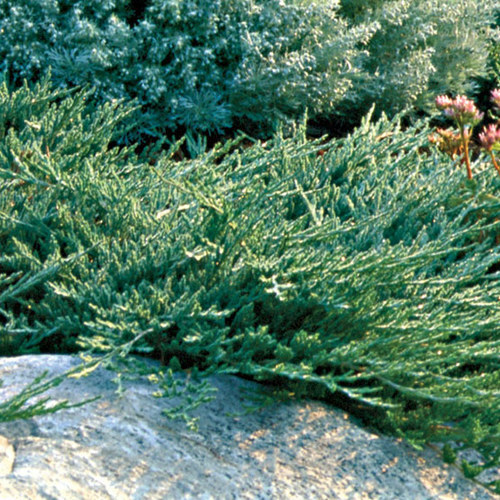 Many species are evergreen or at least semi-evergreen. 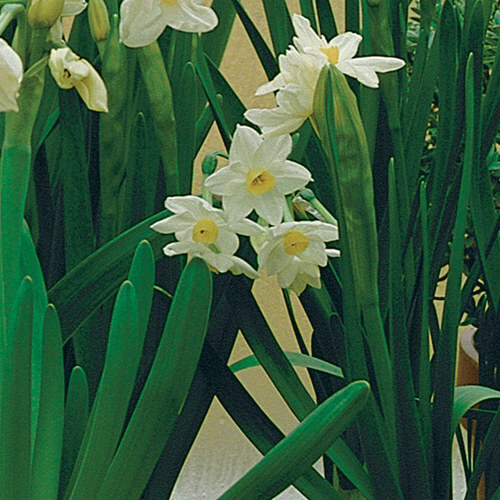 Numerous cultivars are available. 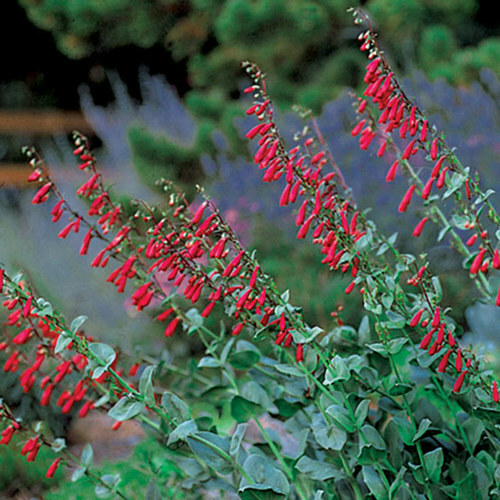 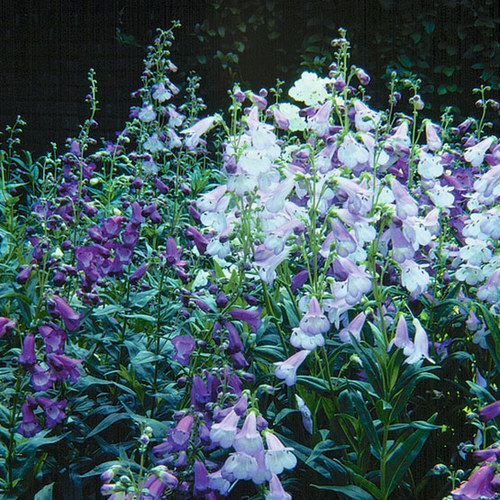 Grow Penstemon in the border, rock garden, or as bedding. 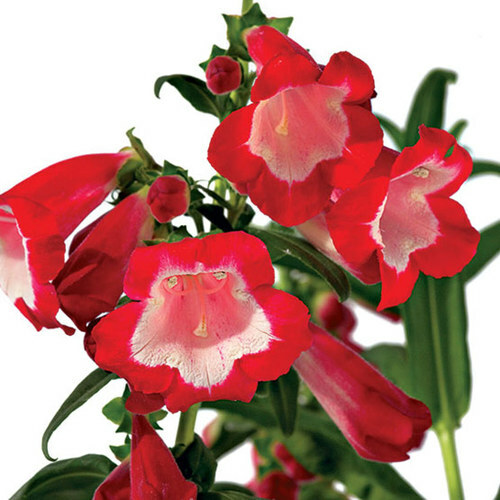 Noteworthy CharacteristicsShowy spikes of tubular flowers that often attract hummingbirds. 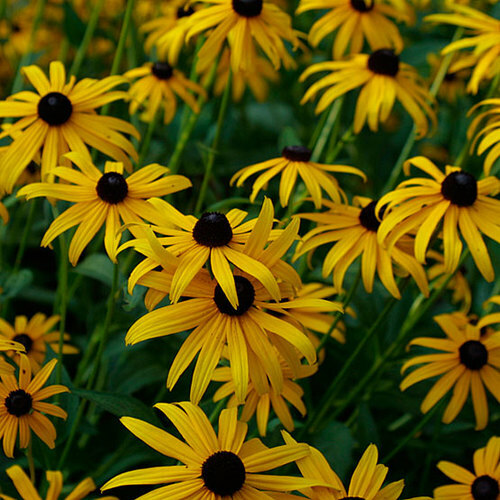 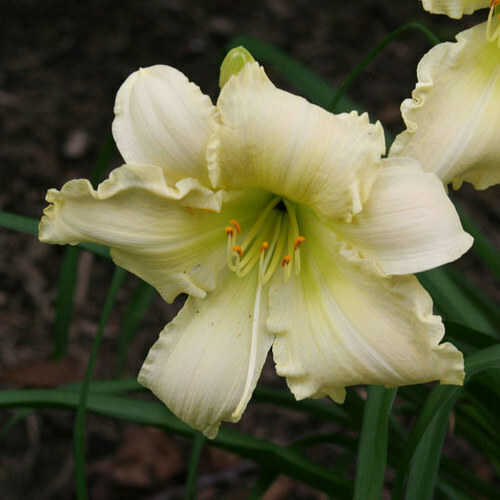 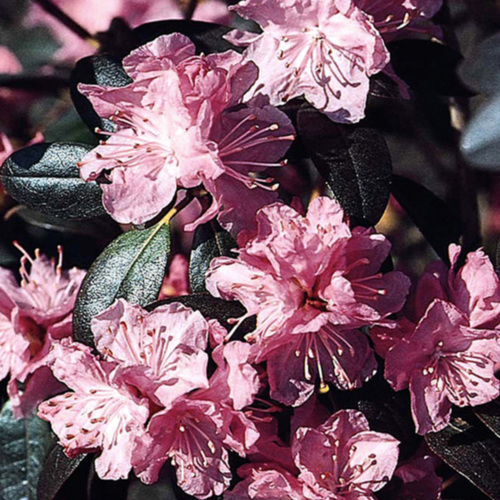 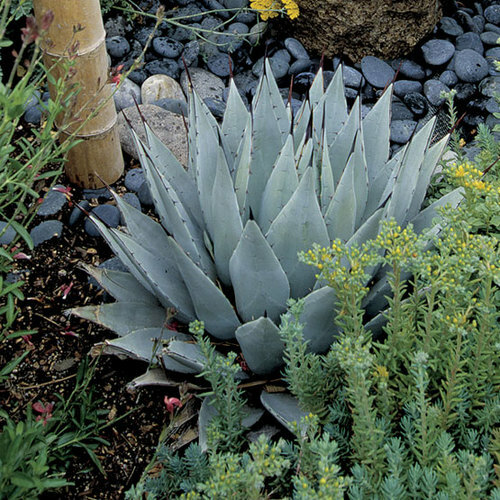 CareRock garden species need full sun and poor to moderately fertile, gritty soil that is very well-drained. 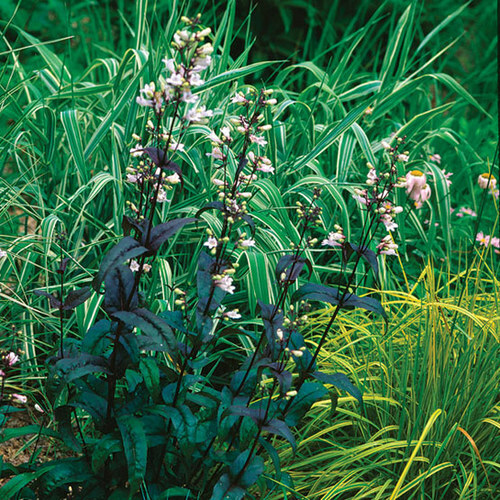 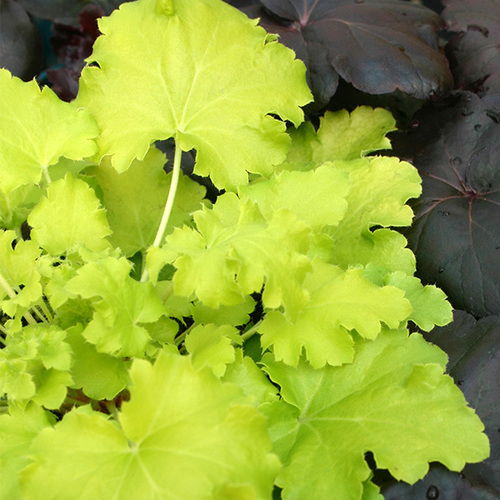 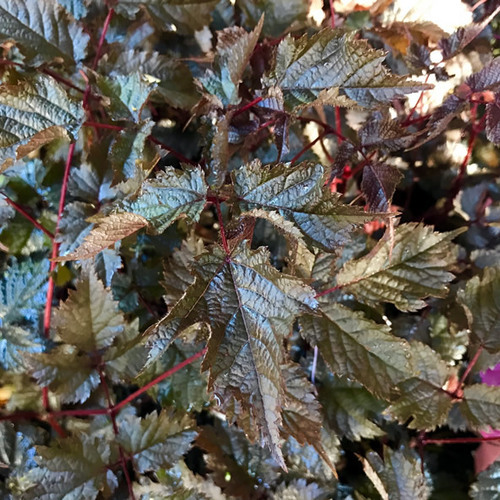 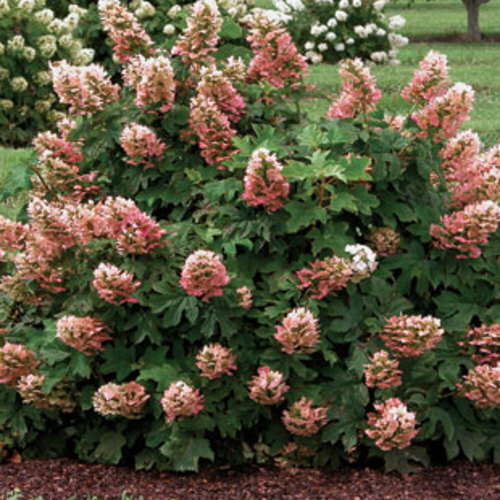 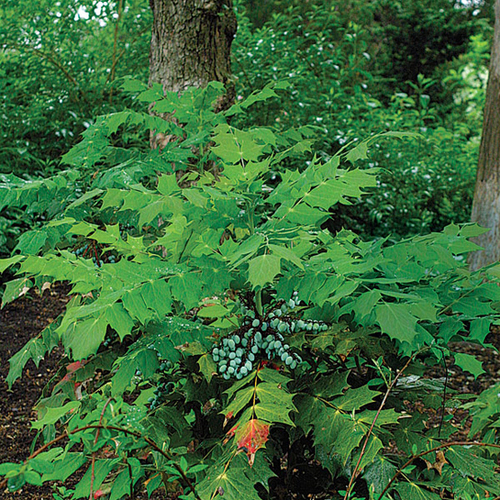 Border species can grow in full sun or partial shade and fertile, well-drained soil. 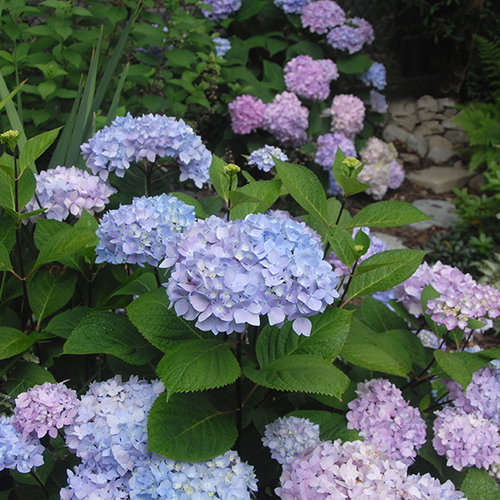 Many cultivars are short-lived. 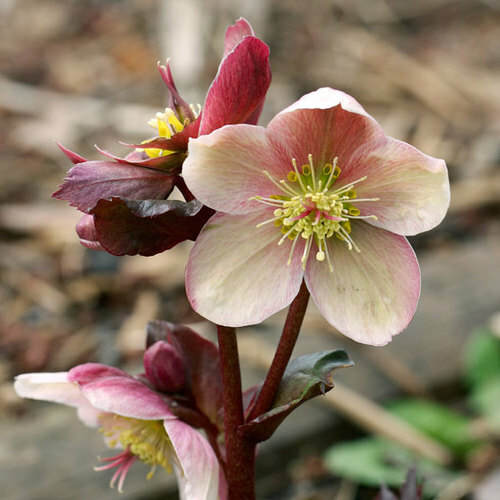 PropagationSeeds should be sown in late winter or spring in a cold frame (for rock garden plants) or indoors at 55° to 64°F (for border plants). 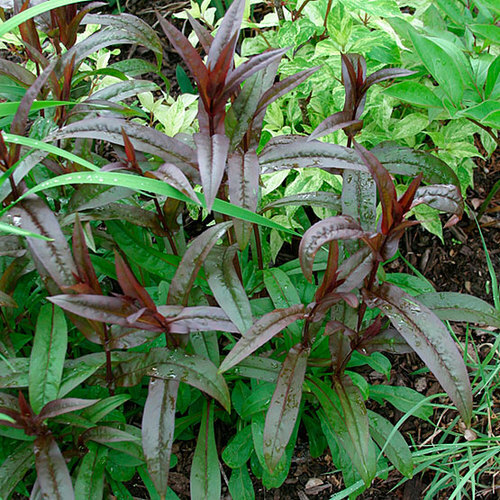 Penstemon can also be propagated from softwood cuttings taken in early summer, from semi-ripe cuttings in mid-summer, or by division in spring. 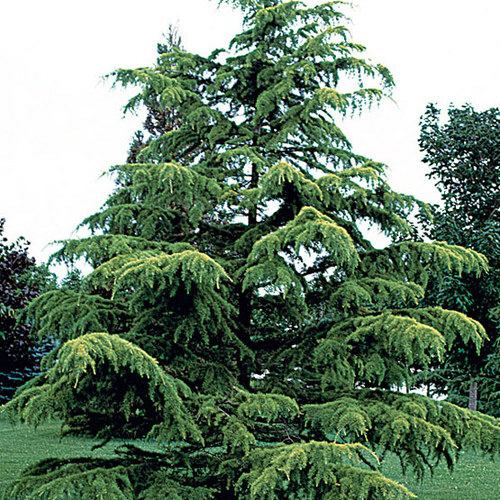 ProblemsPowdery mildew, rust, leaf spots, Southern blight. 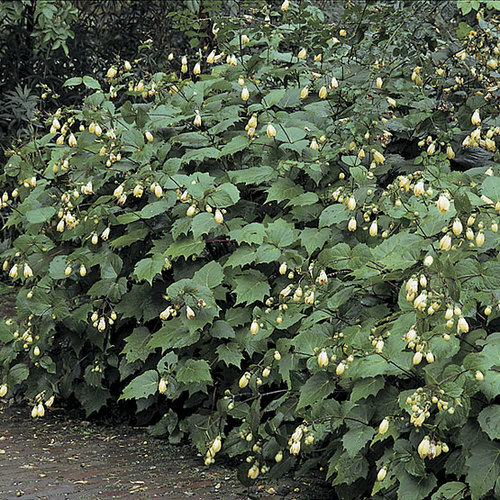 Young plants can be attacked by slugs and snails.